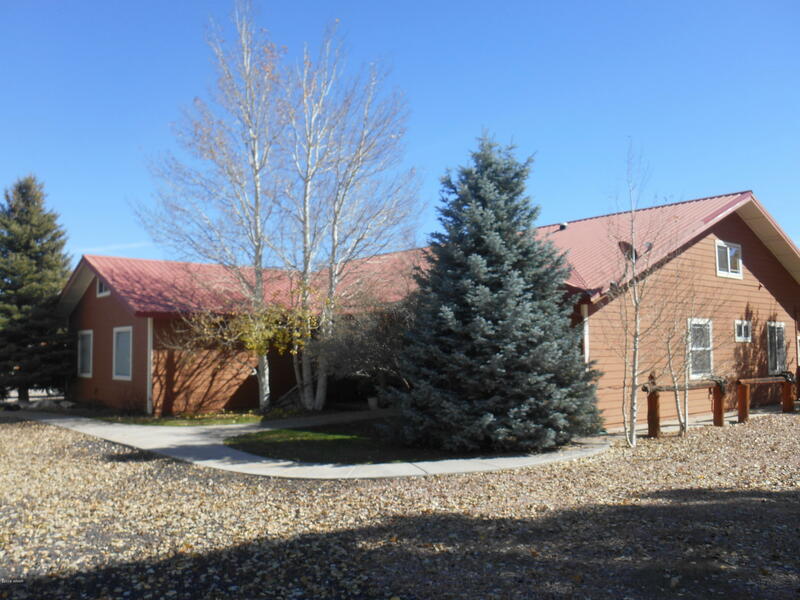 Horse property close to town, this custom built home has 4-5 bedrooms, 2.5 baths, a large bonus space upstairs w/endless possibilities.2 car attached garage and a 2 car detached garage, along with a quad storage garage. Pet friendly home, fenced yard and area for the horse. Interior has granite counters, wood cabinets, tall ceilings, custom stone baths, fireplace w/granite, a large sun room w/additional living space.